We have a plan and the trainers in place to help you meet your goals and lose weight, increase strength, improve flexibility, and lots more! Accept no substitutes and join the most successful 6 Week Fitness Challenge in the Hudson Valley. We’ve held a dozen challenges, worked with over 500 beginners and helped those in our fitness challenges lose thousands of pounds, hundreds of inches, and helped them drop a huge percentage of body fat! Our 6 week program is a one time purchase of $397 and operates in a small group class environment. While most gyms, boot-camps, or “challenges” throw you into a regular class, give you the same template everyone else receives, at CrossFit 845! We have the staff and resources to provide you with a personalized experienced guaranteed to meet your needs. Regardless of your age, weight, size, or experience level, we have a plan that will work for you! You’ll receive direct support from our dedicated coaches as well as access to meal preparation tools, calorie calculators, and body measurements throughout the six week program. Our team will provide you meal planning advice, healthy cooking tips, and lots more! We’ve created this exclusive, introductory training program specifically for you. You’ll master the fundamentals of fitness as you get in shape immediately and learn how to perform our movements safely. You’ll have a designated class time and can feel comfortable knowing you’ll only be working out alongside others also taking our Challenge. Classes are helded Monday, Wednesday, and Friday we we start you off immediately, grouped only with other beginners new to CrossFit, (or as we say, other “Challengers.”) You won’t be partnered with Superman or Wonder Woman on Day #1, don’t worry! We offer a TON of classes, allowing you to find a time that fits with your schedule. This is the perfect way to get in shape, master your nutrition, and enjoy your workouts. Our challenges are wildly popular and sell out every single time we offer them. We add elements of nutritional coaching, goal setting, and community support to help you take charge of your fitness once and for all. Our next 6 Week Challenge is starting soon! 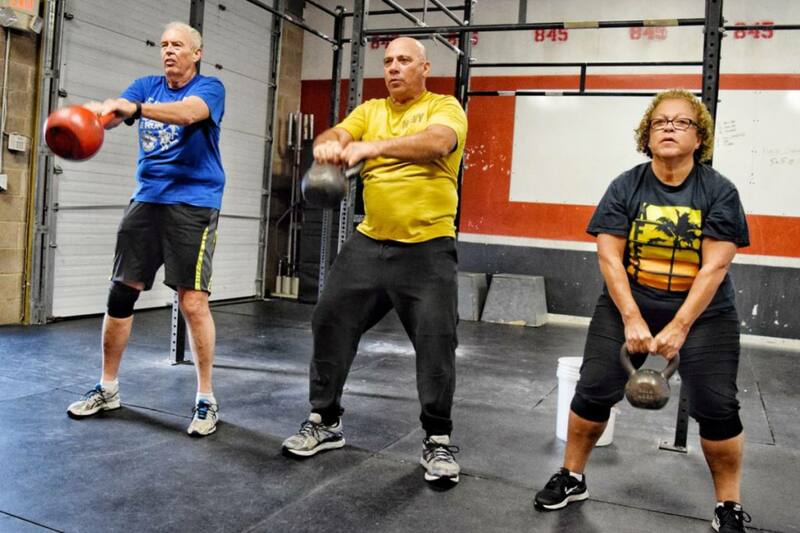 If you’ve been waiting to join CrossFit now is the time! Accept no substitutes for a fitness routine or a jump-start to being your best self. Join the best 6 Week Fitness Challenge in the Hudson Valley. Want more information? Contact us at info@crossfit845.com or call us at 845.214.0101. But don’t delay! Our Challenges sell out every time, and fill up FAST! We cap every class at 10 people so if you don’t want to miss out, you can sign up right away! Select your location below and complete your registration. One of our staff members will then be in touch so you can tell us the class time you want.